I really enjoyed The glimpse for several reasons. 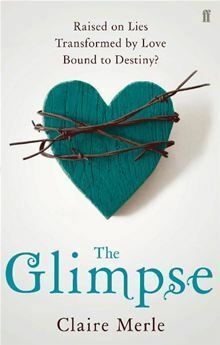 First and foremost I loved that it was a UK based dystopian YA novel as there seems to be so much dystopian out there but not much of it being British. I therefore loved the feel of the book and its setting especially when I could picture the rough geography of the closed cities in my mind. This book deals with an interesting idea in the way the society deals with separating people because of mental illness (or the potential to be carrying one). I found it fascinating as an insight especially consider the discrimination that fairly exists in our society today towards people with mental illnesses. I really liked how the author really got into the debate around what classed as being mentally ill and I think it actually will raise awareness of the discrimination people go through on a daily basis. It also raised a lot of questions about the morality of DNA testing which I found to be really thought-provoking and resonate in today's society. I really enjoyed following the story of the main character and found her story really engaging from page one. Ana was everything I look for in a character, strong and feisty yet without being arrogant and with enough conviction to stand up for what she believes in. The storyline was pacey and engaging and, while left on a bit of a cliffhanger, didn't leave me with that unsatisfied feeling that nothing had been accomplished as a reader that some books seem to do. all in all a fab read.